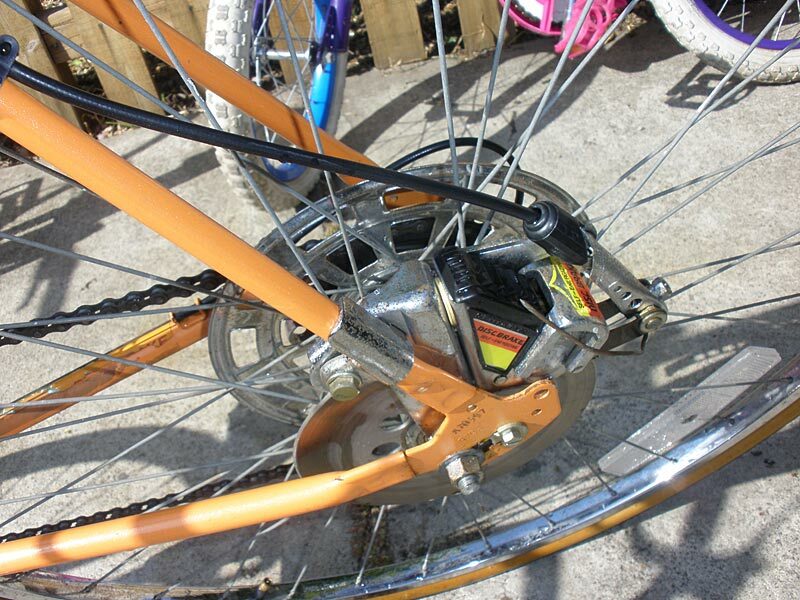 Welcome to the Land of Pie Plates and Spoke-mounted Reflectors. 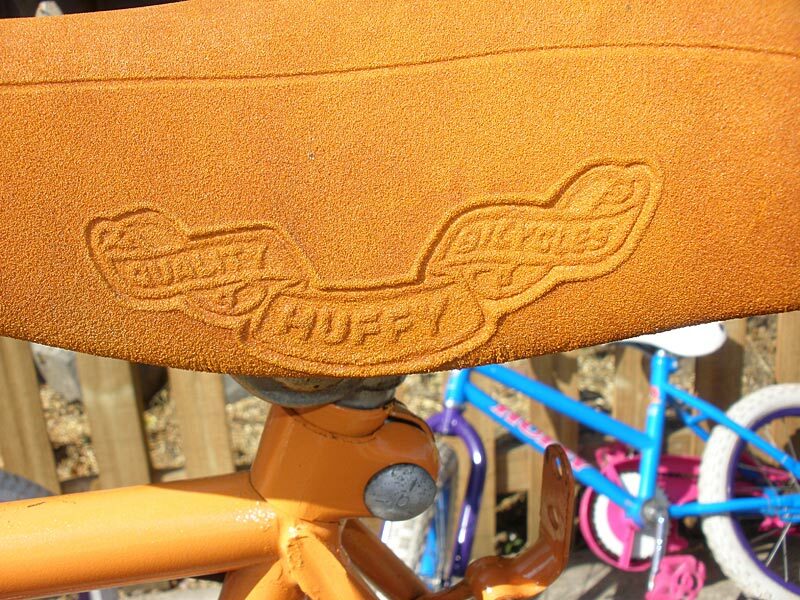 More of the finest Huffman Manufacturing Company has to offer. 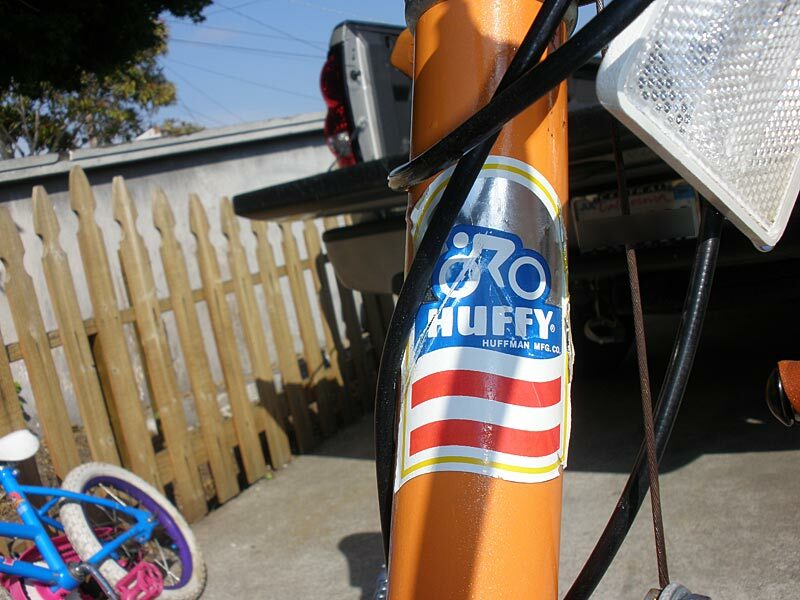 This is Clemente’s unmarked, rear disc-braked Huffy 10-Speed. My bet would be ’76 judging solely from the stars and stripes headbadge, and the Urban Cowboyish buckskin paint, seat and grips. 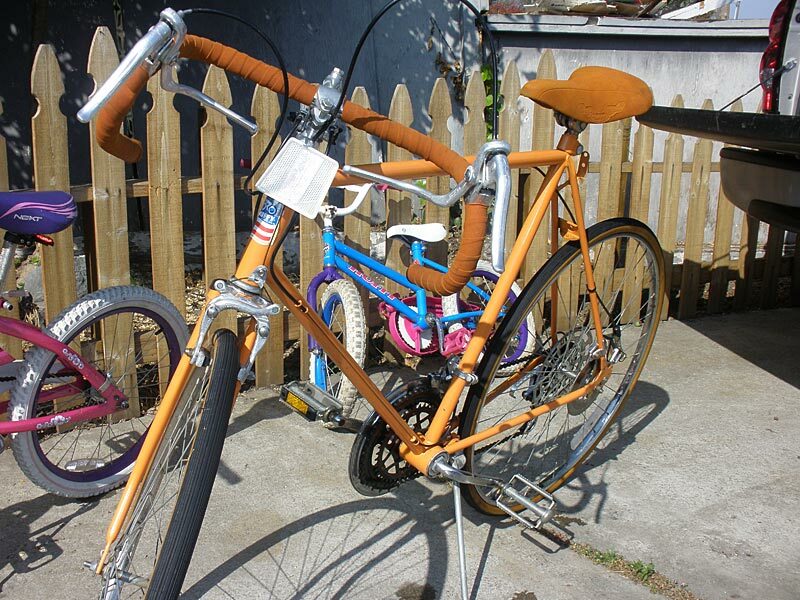 hi my name is clemente, i have this old bike its in pretty good condiction . everything looks original, but i dont know much about it. if you guys can give me any info on my bike please feel free. im not really sure on what to do with it im a short mexican and its hard to get on and off.